Pondicherry, or Puducherry, was a French colony and it is one of the best places to get a peek into the colonial rule, beautiful beaches, varieties of cuisines and much more. It is the one-stop destination for an ideal weekend away from the cities of Bengaluru and Chennai. One of the seven union territories of the country, it was under the rule of the French until 1954 and one can see strong influences of the French culture here. 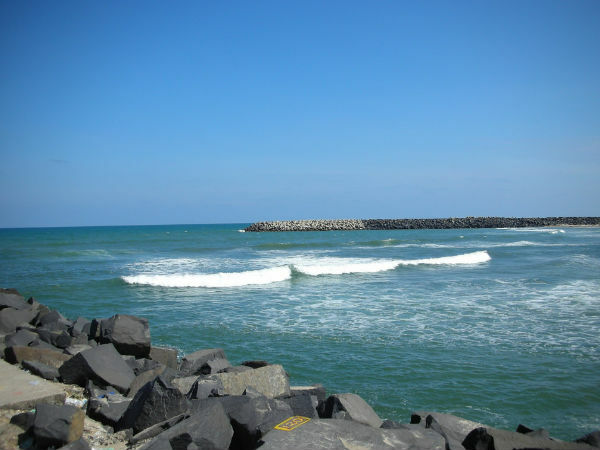 A beautiful town surrounded by beaches, heritage structures and religious places is what Puducherry is all about. It is also home to Aurobindo Ashram and the Auroville that attract tourists from across the globe. Affectionately called Pondy, it is one of the largest union territories in India. It welcomes all its visitors to its peaceful environment and transfers them into a whole new different level of peace and rejuvenation. By Air: The Chennai International Airport is the nearest airport which is at a distance of 135 km from Pondicherry. The airport is well connected to all the major cities in the country as well as to the other foreign destinations. By Train: The major railhead is Pondicherry Station, which is well connected to different parts of the country. There are regular trains available from Bengaluru and from other major towns and cities in the country. By Road: Pondicherry is well connected by roads. The total driving distance from Bengaluru to Pondicherry is approximately 311 km. There are plenty of buses which ply regularly from Bengaluru to Pondicherry as well as from other major cities. Route 1: Bengaluru - Hosur - Krishnagiri - Chengam - Tiruvannamalai - Tindivanam - Pondicherry, via NH 77. Route 2: Bengaluru - Hosur - Krishnagiri - Vaniyambadi - Ambur - Vellore - Arcot - Tindivanam - Pondicherry, via NH 48. Route 3: Bengaluru - Hoskote - Kolar - Mulbagal - Palamaner - Chittoor - Arcot - Tindivanam - Pondicherry, via NH 75. For those who wish to take Route 1, it would take you approximately around 7 hours to reach Pondicherry via NH 77. The road takes you through the beautiful temple town of Tiruvannamalai. The roads are in a good condition, which take you through the interiors of some villages in Tamil Nadu. For those who'd like to opt for Route 2, it would take you around 7 hours to reach Pondicherry via NH 48; and if you wish to go by Route 3, it would take you around 8 hours to reach Pondicherry via NH 75. The journey can be planned as a weekend drive. So, one can opt to leave on a Saturday morning after spending a day and half, they can start the return journey to Bengaluru either on a Sunday afternoon or evening and reach by night. If you are driving via Route 1, Krishnagiri would be an ideal stopover for a filling breakfast either at the Saravana Bhavan or Adayar Anand Bhavan. After which one could proceed towards Tiruvannamalai and then towards Pondicherry. As you reach Tiruvannamalai, one can stop over for lunch and also visit the Ramana Maharishi Ashram and Arunachaleshwara Temple dedicated to Lord Shiva. The town offers you plenty of places to eat at; around the temple and near the bus stand as well. After this, you could head towards Pondicherry, which is around 110 kilometers from Tiruvannamalai and would take you around two hours to reach. Pondicherry is a place with beaches and more beaches, apart from other predominant names that are famous tourist sites like Auroville and Aurobindo Ashram, which are must visits when in Pondi. Take a walk through the streets of the French Colony, to see what Pondi has to offer. There are plenty of places in the town that give out bicycles and two wheelers on rent. Get your hands on the choice of transport and discover Pondi all by yourself without relaying on any guides. There are also numerous cafes and restaurants that would offer you French cuisine and varieties of others as well. Get into the Le Cafe on the promenade beach and order the coffee of your choice and relax on its shore. The other places to visit are the Serenity, Paradise and Auroville beaches, along with the temple of Manakula Vinayagar dedicated to Lord Ganesha, the Sri Aurobindo Handmade Paper Press and many churches.